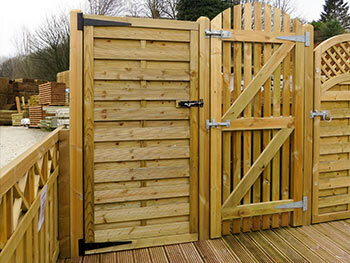 During 2014 we made the decision to cease carrying out fencing installations ourselves having decided to concentrate on panel manufacturing and independently sourcing the best quality of timber and other fencing materials so that we can continue to offer these at exceedingly reasonable prices without affecting quality. Over the past 30 years we had gained a good reputation for providing an efficient fence erecting service across Rochdale, Bury, Oldham, Stockport and surrounding areas of Greater Manchester and as a result are regularly asked to recommend a reputable installer who will use our high quality fencing products. Any fencing contractor we provide the details of will by virtue possess the necessary workmanship qualities to ensure that your fencing installation will be of the highest standard. In other words, we will only recommend a fence installer whose quality and standard of work is such that we would be happy to utilise them ourselves. We can recommend a reputable and quality fence installation contractor. Just call us on 01706 659703. We ask that you visit our premises to choose your materials before your contractor undertakes an onsite survey of your actual fencing requirements. 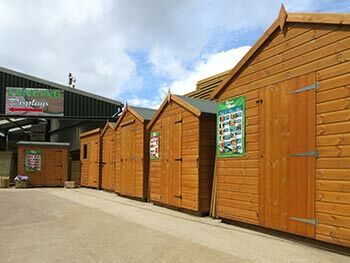 All of our fencing panels and materials are displayed within our extensive outside display areas where you can visualise the exact product for yourself within a natural setting. This allows you to dictate and appreciate the quality of the fencing materials you want installed, and will also enable your installer to provide an accurate quotation to suit your wishes and installation requirements. Our large stocks of all fencing products will enable you to take the fencing materials away with you and get on with the job without any delay. Alternatively, we offer a reliable delivery service to the front of your property at a reasonable cost. No two fencing jobs are the same, and depending upon your requirements and location we can recommend an installer that in our opinion is best suited to the job. This will be an independent fencing contractor and not an employee or sub-contractor of Pennine Fencing and Landscaping; consequently we cannot provide an installation quote on their behalf. Should you wish to undertake the work yourself we will happily assist by offering advice, answering your questions and providing a quote for the fencing materials you want. Please ensure that quantities and measurements etc. are accurate at the time of ordering as we cannot be held responsible for any errors / miscalculation. If you have an installer carrying out the work for you, it is your responsibility to ensure that all materials ordered are in accordance with how they plan to undertake the installation. Better still ask them to provide you with a list of the fencing materials. Pennine Fencing and Landscaping are committed to sourcing only the very best quality timber components ensuring that our traditional fence panels which are made on site are of an exceptional standard. Our panels are much heavier than standard ones owing to the fact that we put more timber into them by having broader back rails, larger battens, thicker and more slats etc. The continental panels are manufactured in the Baltics to our own high specification. Sourcing directly and purchasing in bulk volumes from the factory means we can offer these panels at lower prices without compromising the quality. By sourcing wisely in this manner, we can ensure that we are able to sell our fencing products at a lower cost than most retailers. Do not be misled that our reasonable prices equates with inferior products - please check the product detail for the full specification and you will find them to be superior. 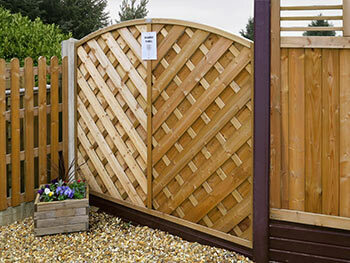 Our fencing materials are of the highest quality. 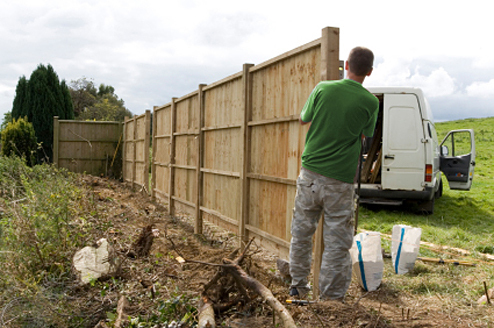 Make sure you insist on Pennine Fencing & Landscaping materials when you engage your fence installer.